One major opportunity for differentiation among SaaS lies in how well you provide customer support. In fact, your customer support may be one of the most influential factors to drive how well you retain customers and keep churn rates low. Many SaaS, including some very large, well-financed ones, still seem reluctant to provide much in the way of phone support. Whether it’s because they don’t want to put the staffing and infrastructure in place or simply because they want to be available, but not that available, they are potentially missing a good opportunity to delight their customers. 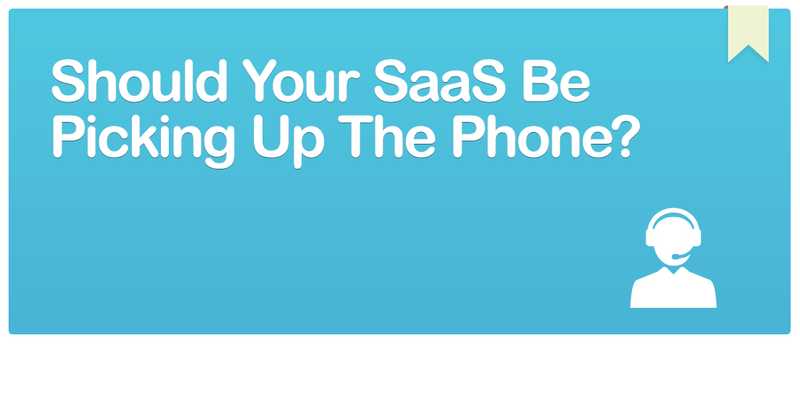 Should your SaaS be picking up the phone? We’re taking a look. Most SaaS have an onboarding process that goes something like this: customer is introduced to SaaS via some marketing method, customer signs up for free trial, customer receives a few emails or training tips, customer finishes trial and they either stay or go. For the most part, the whole process is very low-touch in terms of genuine human interaction, and understandably so; this is how you create a scaleable system. SaaS who are priced at the lower end and have the ability to grow rapidly without having to spend a lot of time convincing customers of the merits of their purchase may be just fine without adding in phone conversations, but there are other advantages to doing so. Should you outsource customer service? Grab our quick questions to ask. How do you really know what your customers are thinking or how they feel about your product? You can ask them to answer a survey or to send you a message with any feedback, but often those methods that don’t require immediate action get ignored or forgotten. A phone conversation, even if you have to limit these to your most frequent users, can be a lot more revealing. Find out exactly what users love, what they think could be improved and how they found your onboarding process. Do they feel they had enough information available to support their choice? Or were they confused and wondering about some things? 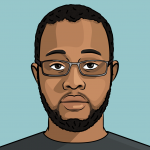 If your SaaS is a bit more complicated or has any aspects to its use which will not be entirely intuitive, you could be in danger of losing new signups who don’t want to spend a lot of time figuring out how to use your product. This is where getting on the phone is a handy tool for building awareness. You could retain a customer who otherwise would have walked simply by being there to go through it with them. You could take the opportunity to give a live demo and to answer questions they have on the spot. The other thing with talking to someone over the phone is that it is a much more personal experience than email. If you use talented phone salespeople who have empathy toward and a knack for dealing with humans, your customer feels valued and you build their trust in your business. The experience a customer has with your SaaS over the phone can help to convey your professionalism and long-term prospects as a solution to their needs; thus, being available on the phone may be one of your best customer strategies during the onboarding phase. A phone conversation can help your SaaS retain customers who would have silently cancelled. A successful SaaS is one that not only onboards plenty of new customers, but manages to keep them long-term. Retaining customers is critical to producing ongoing revenue growth, and retaining is about building a lasting relationship. You could choose to stay in touch through other, more passive methods such as email, but nothing gives that “human” touch quite like talking to customers over the phone does. A phone conversation also allows you to be even more proactive; sometimes you’ll get customers who would otherwise silently cancel without bringing issues to your attention, whereas if you get them on the phone, you have the opportunity to take early action to resolve their issue. The other forms of support communication came in way behind the phone—possibly an indication that people feel more comfortable getting an issue dealt with quickly and with higher human interaction. Most SaaS now aim to be customer-centric in their delivery; it’s a must if you want to achieve high levels of engagement and retention. So, you could look at having a phone support option as simply giving your customers what they want in order to create the best possible service experience for them. 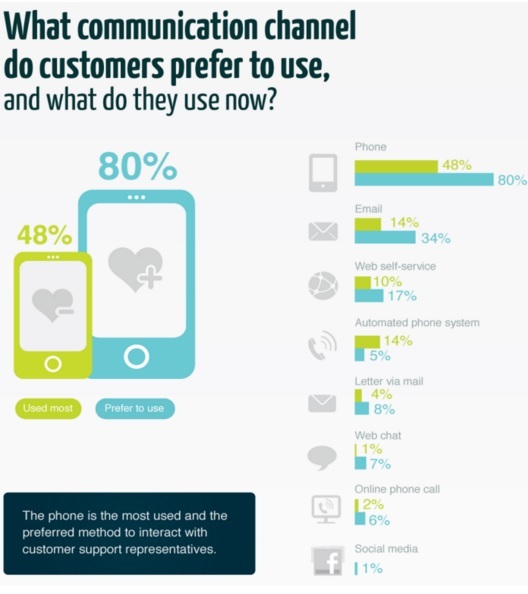 75% of customers think calling is the most effective way to get a quick response. If your product is the type that demands real-time answers, then providing a phone option is simply better service to your customers and meeting an expectation they probably already have. 86% of customers are willing to pay up to 25% more for a better customer experience. This means it’s possible you could get away with raising your prices slightly if you provide phone support and an overall better level of service than competitors. You could possibly even pay for that higher level of service with the revenue from a price increase. So even if you do need to hire extra staff to cope with call volumes, there could be a pay off in that 1) you’re doing what customers want and 2) you may be able to charge more for it. The SaaS market is fiercely competitive, so to stay in business you need to look for any advantage you can get. If the standard of your customer service differentiates positively enough from your competitors, this is a good opportunity for you to gain the advantage. Here’s another stat from the Insight Squared report: 73% of consumers say friendly customer service reps can make them fall in love with a brand. I don’t know about you, but “friendly” definitely seems to be easier to get across over the phone rather than in a live chat or email. Using phone support methods is a great opportunity for you to increase customer satisfaction and loyalty to your brand. When those go up, so does your rate of customer retention. You can better understand customer satisfaction or dissatisfaction because you can pick up on nuances such as tone, which are more difficult in methods such as live chat or email. (Only face-to-face service would be more effective for this). The customer is more likely to feel heard over the phone and you get the opportunity to better calm down someone who is frustrated. If you’re going to use superior phone support as a way to genuinely deliver value to your customers and differentiate your SaaS from competitors, then it’s worth taking the time to set up the right systems. Going back to the Talkdesk survey on preferred methods of support, notice how many people have ended up using an automated phone system (14%) versus how many would actually prefer it (5%). It’s easy to see why companies want to put in automated systems, but you run the risk of simply annoying your customers. Just try virtually any government department line if you want to understand why—no one wants to spend 5 minutes bouncing around different automated menus and then go on hold for half an hour. Another important thing to note is that your customer service reps who answer the phones should be well-trained and empowered as far as possible to resolve issues on the spot. 72% of frustrated customers have blamed their poor service experience on having to explain their problem to multiple people. Should your SaaS be picking up the phone? Well, studies indicate that if you can swing it, the short answer is “yes.” Augmenting your customer service activities with a phone service can provide you with an edge over competitors. Having a phone program in place during onboarding can help to point customers in the right direction before they silently cancel. It can also help to clear queries they may have on the spot and to hold their attention, even if just to teach them something for a few minutes. With your ongoing customer support, having a phone option is often preferred by customers, especially as they still perceive that over the phone is the quickest way to sort out any kind of urgent issue. Phone service gives you a new opportunity to delight customers, retain their business and improve your own bottom line. Is outsourcing customer service a good option for you? Check out our criteria - subscribe to receive this extra resource.